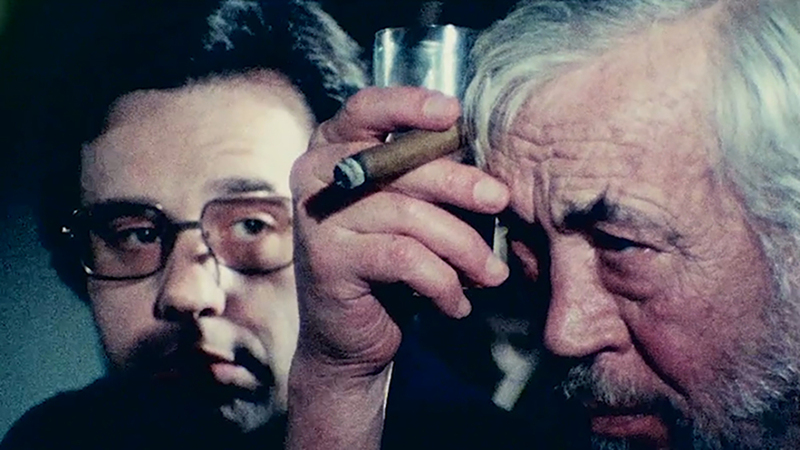 It’s been fascinating to me to learn more about and to finally see Orson Welles’ final film The Other Side of the Wind (Netflix, 2018). A biting satire of Hollywood and sort of a film-within-a-film itself, The Other Side of the Wind is about a legendary film director named Jake Hannaford (played by the real-life legendary director John Huston) who is attempting to resuscitate his languishing career by making an avant-guard film called, well, The Other Side of The Wind. Hannaford needs an influx of cash to finish the project, so he throws a screening party at an expansive home in Arizona and invites potential investors and various members of the Hollywood media to show them parts of the unfinished film. Orson Welles began shooting the film in 1970. Filming continued sporadically for six more years. From what I’ve read, it sounds like a combination of Welles’ temperament along with a series of complicated financial deals brought the work on the film to a standstill. 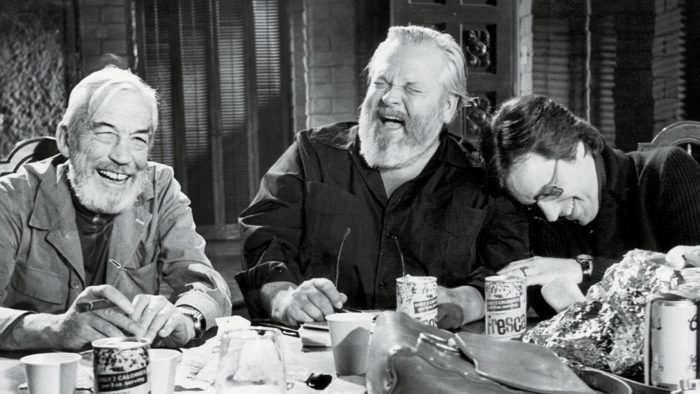 Welles died in 1985 and the film remained in an unfinished state and became a “holy grail” of sorts for devotees of Welles’ work. Multiple attempts have been made over the years to complete the film. Finally, the deep pockets of Netflix along with the work of director Peter Bogdanovich (who also stars in the film) and movie producer Frank Marshall (who was an assistant on the film) were able to get the job done. They definitely figured things out technically. The film is fascinating to watch—almost as if Welles had come back from the grave to give us one last film. The imagery is sometimes a bit challenging and unplesant, but is also sometimes absolutely revelatory in its composition, style, and technical excellence. I wonder if we’ll ever figure out all of what Welles was trying to say. To me, it was like Welles taking his hands off the steering wheel of a speeding car, giving the middle finger to Hollywood, but then crashing and, sadly, losing his life in a rather self-consumed and futile way. The film is currently available on Netflix. Also of interest is a behind-the-scenes documentary about the creation of the final cut called They’ll Love Me When I’m Dead, which is currently on Netflix as well.